Mee Hoon Kueh is a pretty staple food where most of our family actually did cook it ourself before. Upon recommendation from friends, we jalan jalan to Taman Pelangi Indah to look for this mee hoon kueh shop where they are selling some very yummy and delicious laksa and mee hoon kueh according to sources. The dry mee hoon kueh are served to us as above. 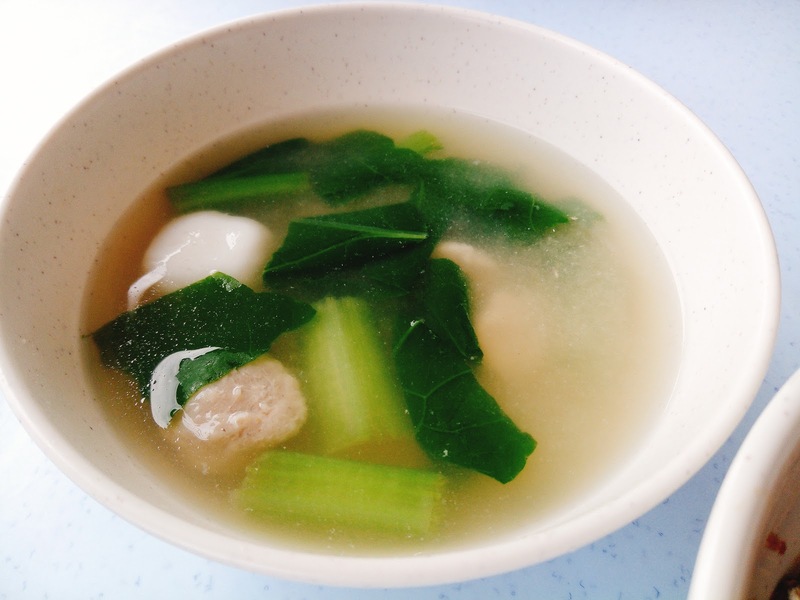 A bowl of soup with fish ball and a meat some pork slice if I remember correctly and some greens. 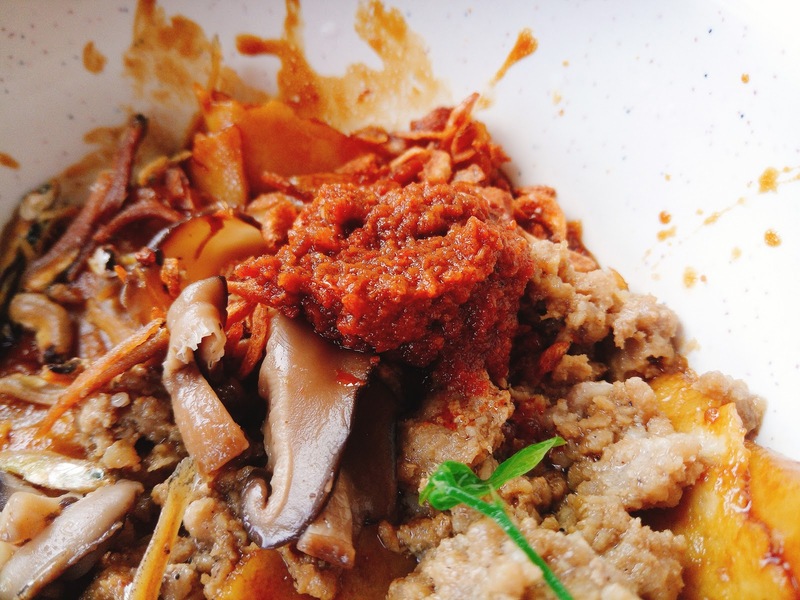 As the the bowl of mee hoon kueh it self, it comes with the sambal on top of it. Also quite a bit of minced pork meat, mushroom and ikan bilis and ofcourse a pretty generous serving of mee hoon kueh. 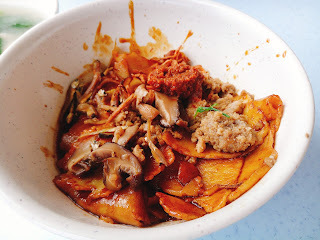 Taste wise, it is a very good bowl of dry mee hoon kueh by itself. The sambal makes it even better. Make sure to stir it evenly before start feasting on it. It is not TOO SPICY, to me it is at the right level where it is fragrant and spicy enough to open up appetite even more. This is actually my 2nd visit here where previously I had tried the soup version, it is very sweet, natural kind of sweetness from the ingredients, not salty kind. Didn't had the chance to try their 'supposingly' as good Curry Mee. Will be back sometime later as this place is not an area I frequent. 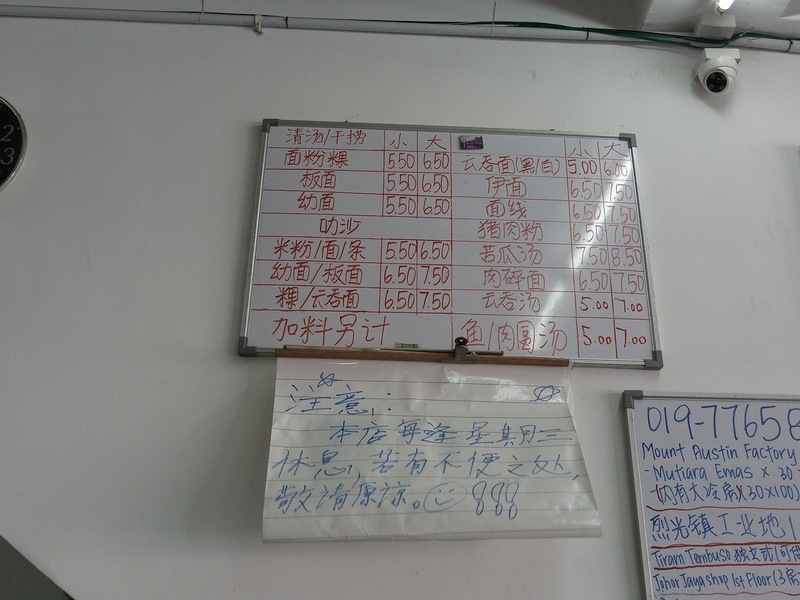 Menu and price are listed on the wall. 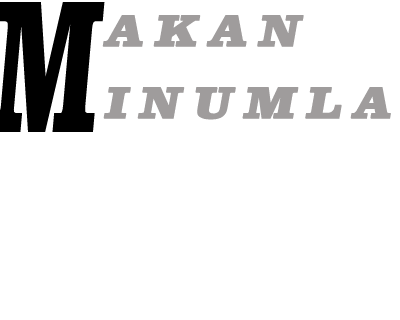 Only recognize a few words, the rest have to 'tikam'. 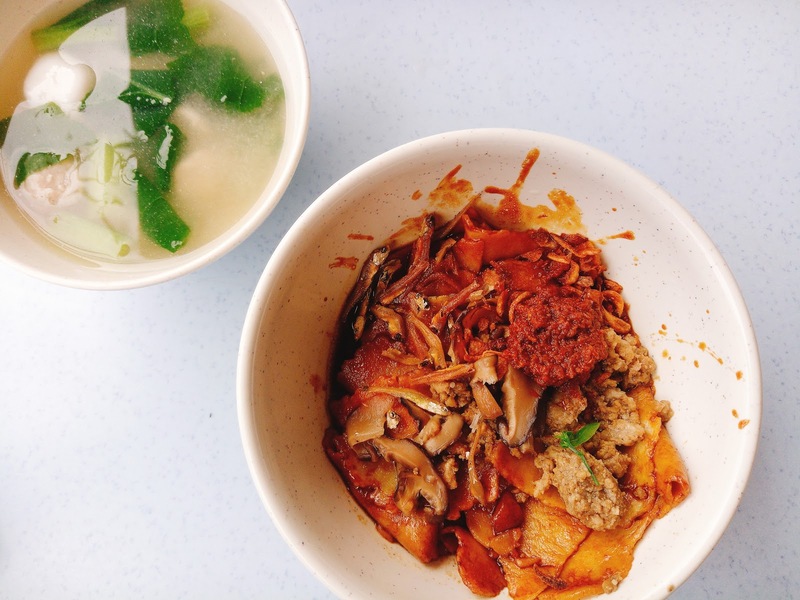 Mee Hoon Kueh starts from RM5.50. Curry Mee from RM5.50 as well and Wan Tan Mee starts from RM5. !! ** MY VERDICT ** !! RETURN TO EAT : Ofcos for the dry mee hoon kueh and also to try their curry mee. Shop Frontage & Location map as below. 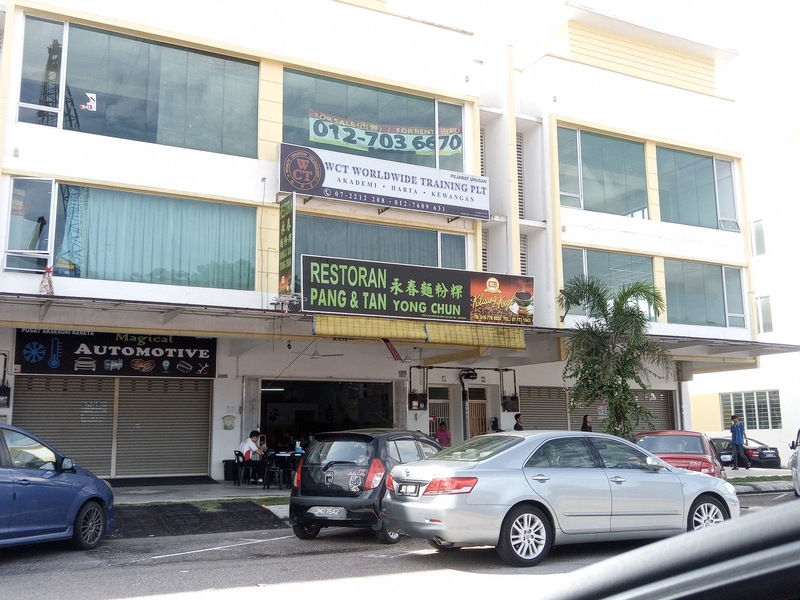 Address : 48, Jalan Cantik 5,Taman Pelangi Indah, 81800 Johor Bahru,Johor..